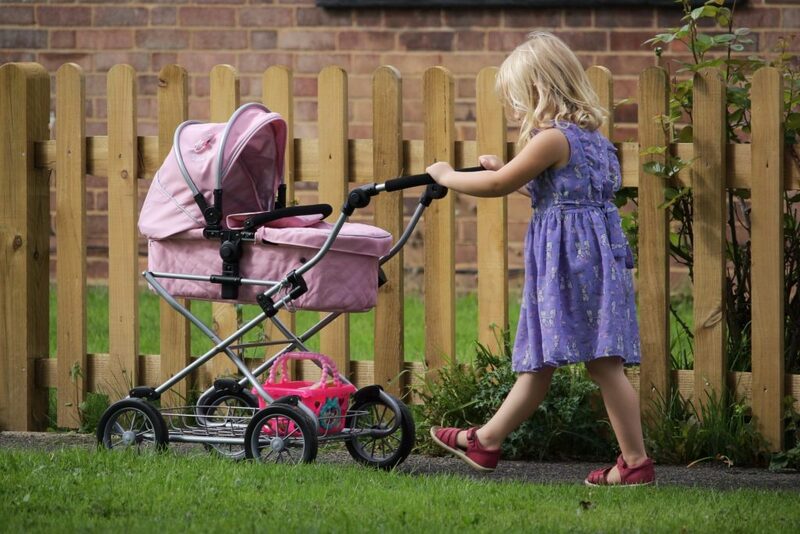 We love it when bloggers and publishers feature lovely reviews of our Silver Cross dolls’ prams & pushchairs. The Play Like Mum Silver Cross Pioneer 5-in-1 Dolls Pram is exactly like my life-size Pioneer and has all the features of it too – adjustable handle height, it can be used in carrycot or pushchair mode, the seat reclines in three positions, it folds down fully making it ideal for taking in the car, the hood goes up and down and it even has the same basket underneath. I was totally impressed by this dolls pram and all it’s features. It’s extremely lifelike, of great quality and it looks lovely too. It’s holding up well against all of Tyler’s vigorous walking and running and baby Sammy has been left in total peace inside it – or so I’ve been told by his ‘daddy’! A copy of the Silver Cross Sleepover travel system, the Play Like Mum Silver Cross Sleepover travel system is a real luxury children’s toy that doesn’t really feel like a toy at all. We chose the pink because that’s the big one’s favourite colour, but it’s also available in an attractive dusky grey. It is just like its full-sized counterpart and arrives in parts; the frame, the seat/carrycot, the hood and the wheels. The detail is lovely and shows that they’ve taken care to match the original pram, right down to the stitching. The pram takes no time at all to assemble; if you’re familiar with travel systems then it will be a doddle to put up although a younger child will need help with this. The seat/carrycot slots into the frame facing either way and can be set at different angles. My first impressions were really positive. The Silver Cross Sleepover Travel System Dolls pram comes boxed up and requires assembly but this was super easy to do, with all the pieces simply clicking into place. If you read my reviews regularly you will know that I normally avoid tasks like this, but on this occasion, I didn’t need to ask for help! (yay me!). I was really impressed with the quality – it really does look very similar to a real life version, with high quality fabrics and finish, and the branding and little details really making it stand out from the crowd. 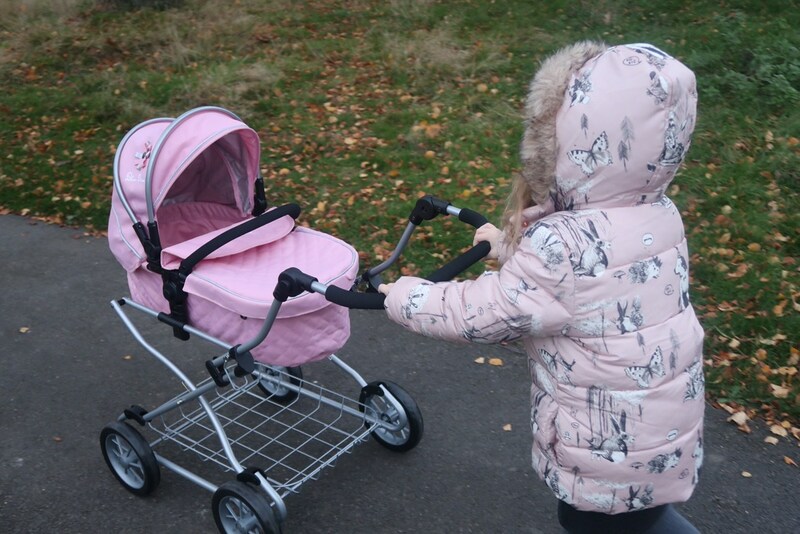 Erin was so excited when she saw the Play Like Mum Silver Cross Sleepover Travel System Dolls Pram and couldn’t wait to take it out for a stroll, asking if we could go out for a venture to the park. Despite the fact it was freezing cold we wrapped up warm and went out for a bit of a wander, her pushing along Dolly by my side! Bee is so different from her sister and loves all things pink, dolls, teddies, clothes and shoes. So when we learnt of the new range of Silver Cross dolls prams….with some being pink…..of course she had to see and try them out! 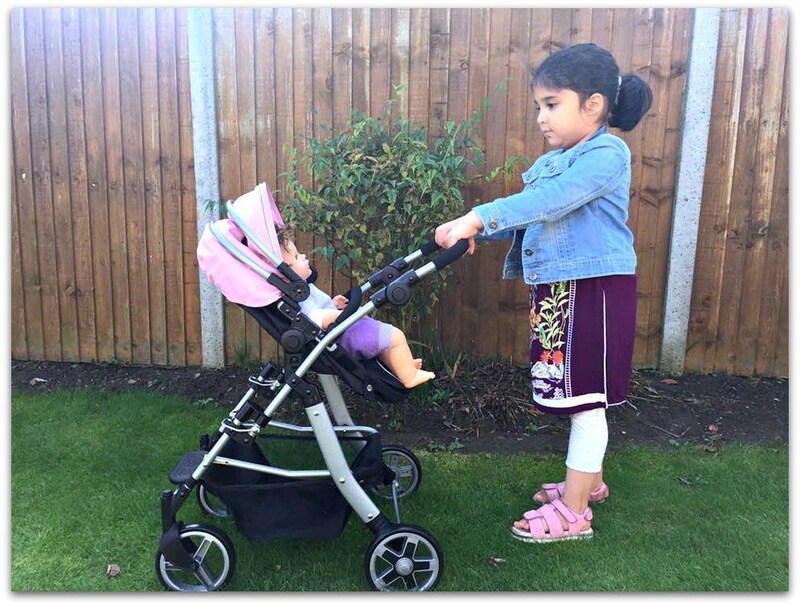 I remember getting a basic pushchair for my eldest when she was younger…and if I am honest I wasn’t impressed by it as I felt it was flimsy with the material falling apart easily and dropping off from the frame. Which is why I had been put off from getting Bee one. 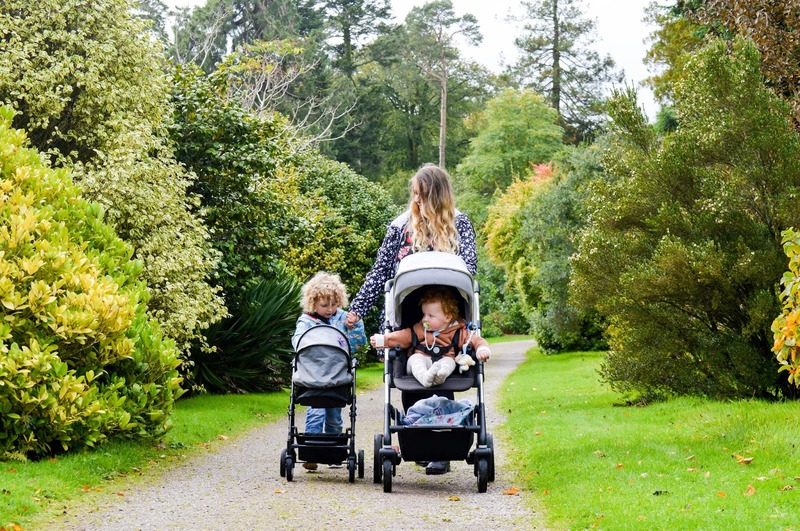 However there is no such worry with the Silver Cross pram; the frame is strong and sturdy and the material used is very good quality and made to last. The pram obviously comes dismantled in the box, with the frame, wheels, hood and pram part all separate. However the instructions are clear and you can put the pram together in no time at all. It took less than 5 minutes to get it all together….and then it was ready to be played with. What I absolutely love about it is that it is looks exactly like the real pram from Silvercross, so little ones in their play can truly believe they have a proper ‘real’ pram for their dolls. We have long been fans of Silver Cross, infact I even contemplated overhauling a one of the original dolls prams for Evie but it looked like such a mammoth task that I chickened out and sold it on to a lovely lady who does it for a living! I am a firm believer in everything happens for a reason and once we gave up on the renovations and sold it on, Play Like Mum got in touch. They wanted to see if we would like to review one of the Pioneer 5 in 1 prams which are exact replicas of the full size prams just made smaller for little ones. Of course this was an opportunity that we couldn’t pass up! Available in Eton Grey or Vintage Pink we opted for the pink and I am so pleased we did, the colour is beautiful.